USAFP is proud to announce that we are almost at 5,000,000 (that’s 5 million!!!) man-hours without a lost time accident. That is equivalent to more than 3,000 days. 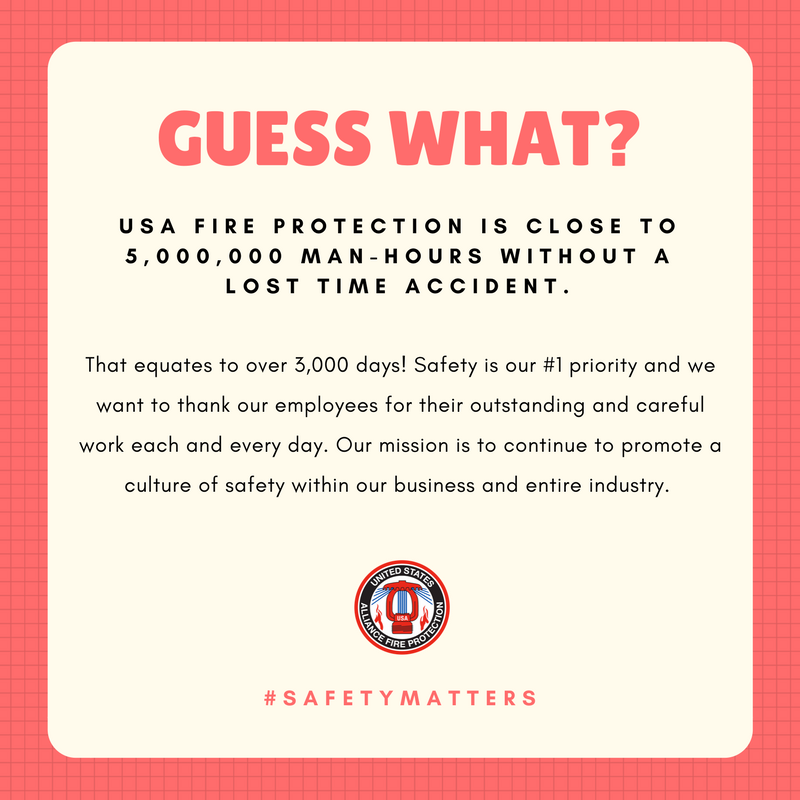 It is crucial that our industry continues to promote a culture of safety so we can continue to keep everyone injury-free. Every year, we are proud to participate in Construction Safety Week and other similar educational programs. At the end of the day, every week of the year should be “Safety Week.” This would never be possible without our outstanding employees who work hard day after day. Thanks again to everyone at USAFP for making this happen! This entry was posted in USA Fire Protection by maya.kroll. Bookmark the permalink.